Lisette Ehrat considers every client’s situation unique and it is her aim to help guide them through their major financial decisions by managing their wealth with regard to their own resources, needs, purposes and attitudes. Her clients are offered well-researched opinions supported by her knowledge of the client as well as the investments. Lisette believes in "Plan-Implement-Monitor" as a method to assuring investments serve their purposes in a client’s portfolio. 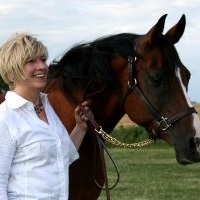 Lisette grew up on a farm raising Arabian horses in south-central Illinois. Her accountant mother and teacher grandfather regarded as accomplished horsemen, she benefited from their experience as she competed in horse shows from the age of nine. Lisette considers her first financial lesson an offer from her grandfather to "shoe your horse for twenty dollars...or a penny for the first nail, doubling every nail thereafter." Lisette’s other interests of music and art have accumulated many awards and experiences. Currently, she performs with Baroque Folk, a non-profit recorder consort benefiting historical sites and organizations. They have produced two CD albums of their music. She has played piano and organ for church services and special events for over thirty years. Today she resides in a small, rural area known as Augsburg in south-central Illinois, and is married to Mark Ehrat, a third generation dairy/grain producer. They have a son, Braden. Lisette is an involved member of her home and business communities. Involved in the investment and securities business since 1996, Lisette holds the following registrations and licenses: Series 7, General Securities License, Series 65, Investment Advisor Representative, Series 63, Uniform Securities Agent State Law and an Illinois Insurance License for accident/health, variable contracts, and life. She is a Registered General Securities Representative with Royal Alliance Associates, Inc. a registered broker/dealer, a member of FINRA and SIPC.